White Onion's distinctly strong taste is indispensable in the kitchen. White Onion's warm, sweet and salty flavor shines in most savory dishes. 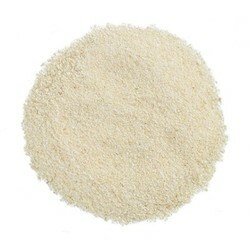 White Onion comes in several convenient dried forms: flakes, granules, powder and slices. White Onion powder: In the same way as white onion granules, white onion powder provides flavor and aroma, but without the texture. White Onion is especially good for sauces and gravies, spice blends, soups and spreads. White Onion ca be added directly to most foods or rehydrate by mixing with enough cool water to make a smooth paste. In place of one fresh onion use 1-1/3 tablespoons of white onion powder.